Stranded on the side of the road with car troubles? Chances are, you’ll call AAA for help, at least if you’re in North America. But AAA can’t help if your electric car battery dies. Nation-E, a Swiss company specializing in smart meters, energy storage, and load leveling solutions, has stepped up to fill what will surely become a popular niche: on-the-go EV charging. The company has developed what it says is the first mobile charging station for EVs. Dubbed the Angel Car Mobile Service Unit, the portable unit is equipped with a 230 volt charger that can juice up a vehicle in 15 minutes with enough power to go nearly 19 miles. That’s hopefully enough power to get an EV to a standard charging station. 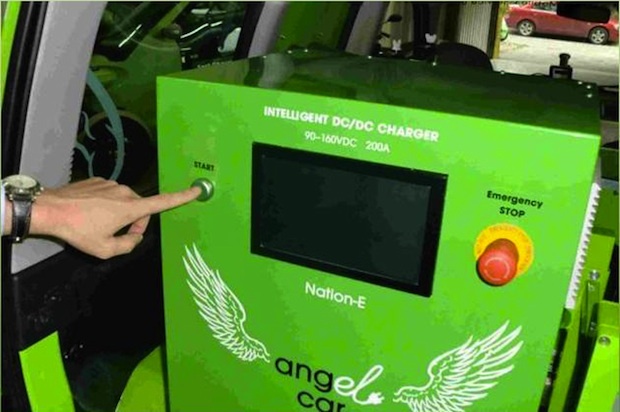 According to Nation-E, the Angel Car unit can be installed on any service car. path towards a nearby charging station. 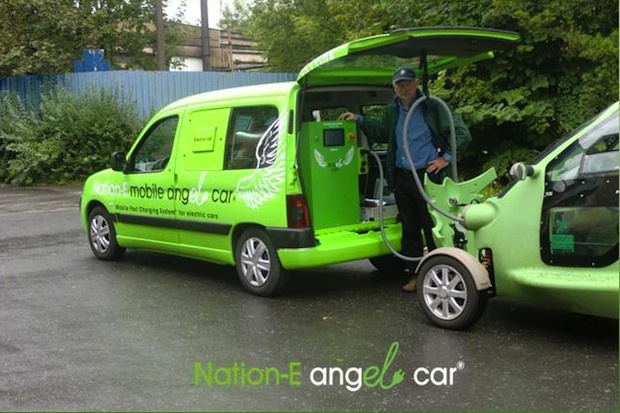 Nation-E is now taking the Angel Car unit on an international roadshow through Europe, Israel, and the U.S. The company hasn’t yet revealed plans for commercialization, but we have a feeling that EV manufacturers will snap these up as a way to calm customers worried about running out of power while on the road.